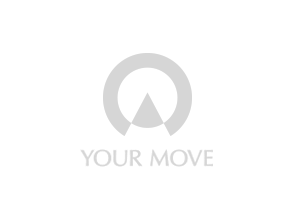 Your Move estate agents Darlington has recently been fully refurbished and is located at the town centre end of Duke Street, arguably with the largest window display in the town, enjoying a generous position and enabling our branch to really stand out. This Keystone branch covers a wide area including Darlington, Yarm, Stockton-On tees, and Middlesbrough for both Lettings and Residential sales. We offer a comprehensive list of all property related matters from selling, buying, lettings, conveyancing and surveys. Our partners Embrace Financial Services can offer advice on mortgages and insurance related products. The very experienced Residential teams comprise of David James (Associate Director), Emma Eskdale (Valuation Manager), and Danielle Newton (Negotiator). The Lettings team are :Jenny Gledhill (Lettings Manager), Elliot Albiston (Lettings Valuation Manager) Karen Garwood, Zoe Pannica, Andrea Godfrey and Julie Lamb. The team is completed with Mark Burtonshaw and Mike Sowerby our Accompanied Viewers. Combined, the team has over 70 years of experience in Estate Agency, Lettings and Financial Services in Darlington and the North East. Customers can easily access the branch by foot from the town centre, by car with ample parking close by and public transport is excellent, with major routes and a bus stop only a short walk from the front door.